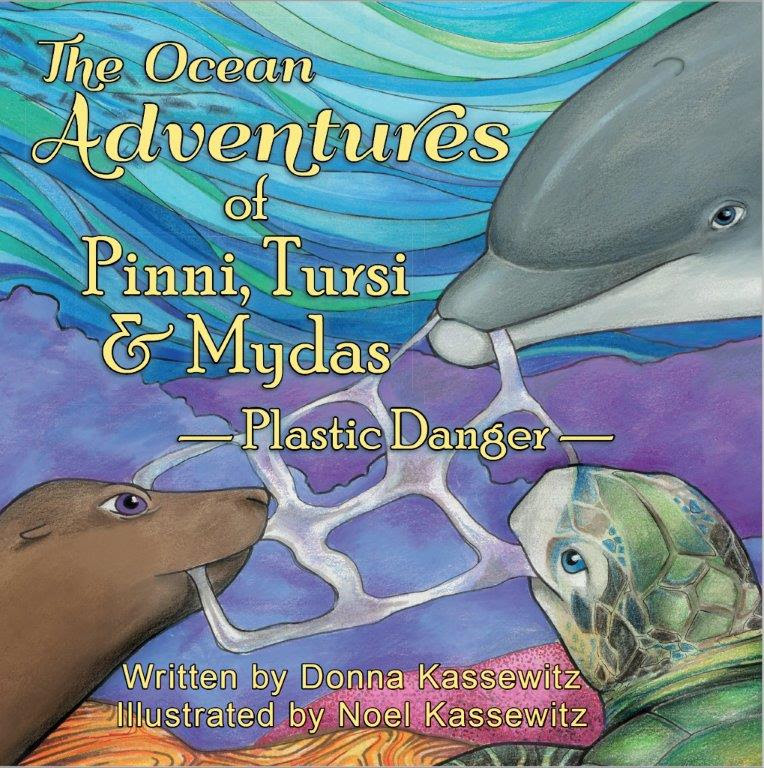 "The Ocean Adventures of Pinni, Tursi & Mydas - Plastic Danger"
Tursi, the bottlenose dolphin, Pinni, the sea lion and Mydas, the green sea turtle learn about the value of teamwork and friendship as they deal with the dangerous problem of plastics in the ocean. When one of them becomes entangled in plastic debris, the trio must embark on a journey to find a solution before it is too late. 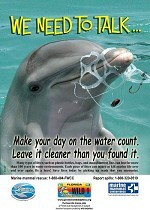 On the way, they encounter other ocean creatures whose lives are also endangered by plastics in the ocean. Where is all this plastic coming from? Will they find help in time? 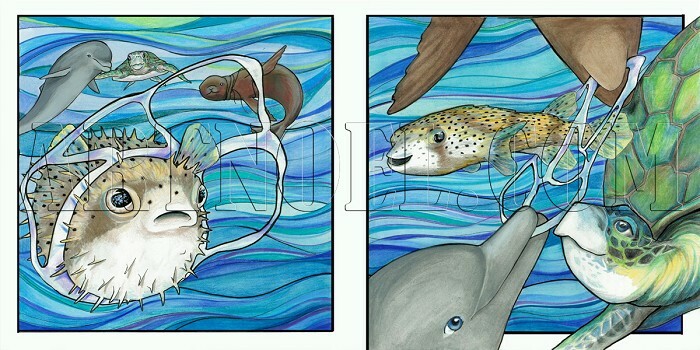 The lively illustrations and engaging story provide a meaningful way to help children learn how plastic endangers ocean animals and encourages kids to work together to protect our marine ecosystems. Help empower kids to be environmental stewards by gifting this book among family and friends, and buying an extra copy to donate to your local elementary school or library. The colorful characters in this story will inspire hearts and minds both in the classroom and at home! 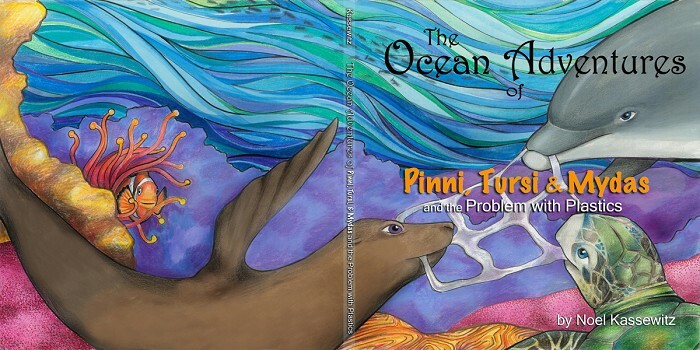 This book came about because we received many emails from elementary school teachers requesting educational tools about ocean trash for their classrooms. 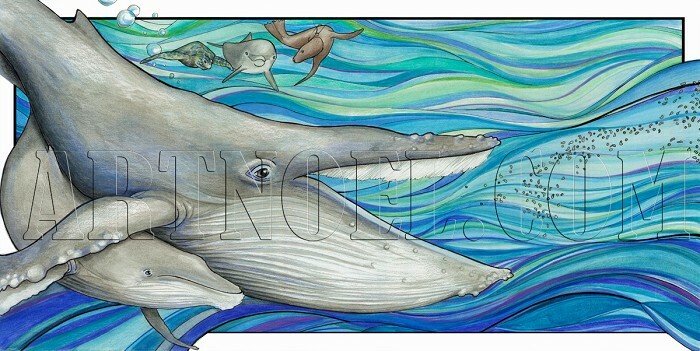 It was encouraging that so many teachers wanted to share this important environmental message with their students, so we decided to create this book as an interactive resource to meet this need. With the assistance of an expert education consultant, the book includes many Teaching & Sharing Activities and Project Ideas to meet a variety of educational goals, as well as foster lively discussions about this topic. 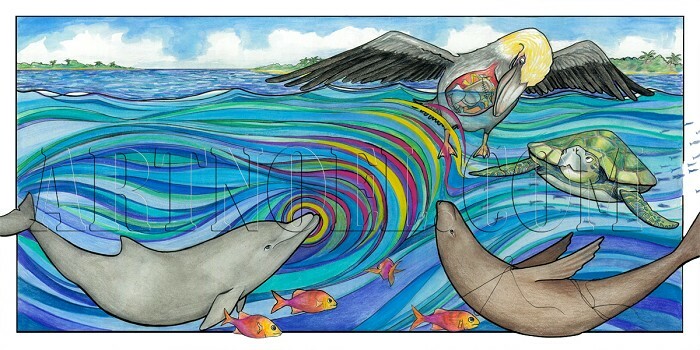 All proceeds from this book go towards funding dolphin communication research.